Murray and Ross Mitchell are a father and son team running 620 acres of arable and fruit production at the award winning Castleton Farm, near Laurencekirk, (North East Scotland) in the area known as the “Howe of the Mearns”. 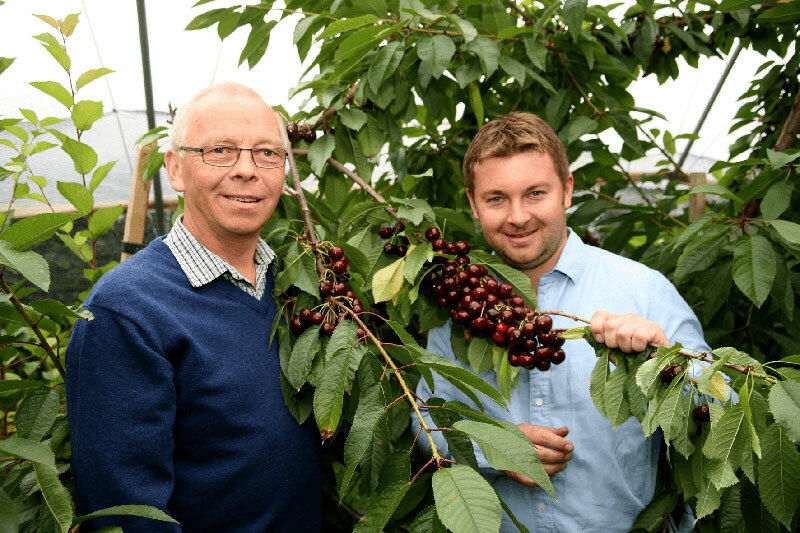 Located between Dundee and Aberdeen, this family run business is one of the most northerly of our berry growers to supply multiple retailers in a season spanning May to October. Their northern location gives them a cool Scottish summer with long daylight hours providing the right growing conditions for berry production. Ross believes that the cool temperate climate allows the fruit to ripen more slowly greatly enhancing the sweetness of his berries. Castleton Farm grows strawberries, raspberries, blueberries together with a plantation of late season cherries. Castleton claims to be the furthest North commercial blueberry farm in the world. This allows them to produce fresh blueberries into the gap after the rest of the northern hemisphere has finished production and before the southern hemisphere starts production.